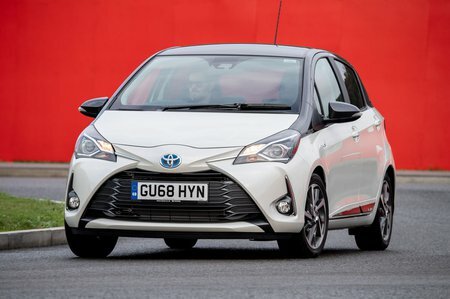 Toyota Yaris 1.5 VVT-i Design 5dr [Pan Roof] 2019 Review | What Car? What Car? will save you at least £1,099, but our approved dealers could save you even more. Design trim gets larger 16in alloys, a honeycomb mesh grille, piano black side mouldings, rear privacy glass and a rear spoiler.